Wayfair is Giving Away a $5000 Game Room! 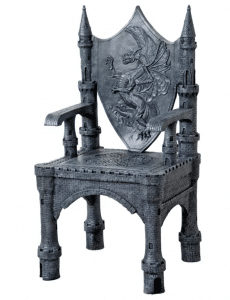 Wayfair.com is holding a “Game Room Giveaway” including a table, dice and a throne for the game master! Behold the glory that is the GM throne! 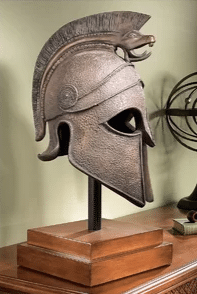 Or if the table and amazing chair are not your thing, how can any gamer turn down a Spartan helmet for ambiance. u can get more entries. As treasure rooms go, this one is amazing, so if you are interested you can sign up for the contest at the link below.